Illustrated by Dana Regan. Published by Troll. After carrying cake in his pocket and butter in his cap, a little boy discovers that the best place to carry a pie is in your tummy. A funny Level 2 Planet Reader featuring full-color illustrations and repetitive text for fast and easy understanding and readability. 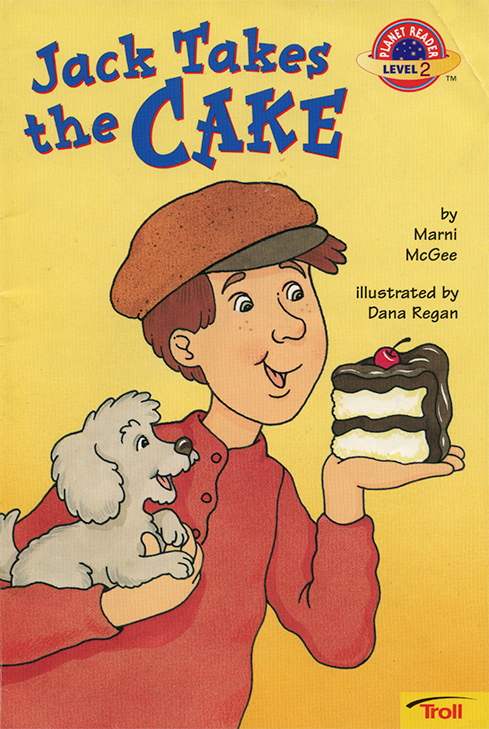 CLICK the cover to read JACK TAKES THE CAKE.